Play the 4 best championship courses in Southwest Scotland without taking a whole week off work. 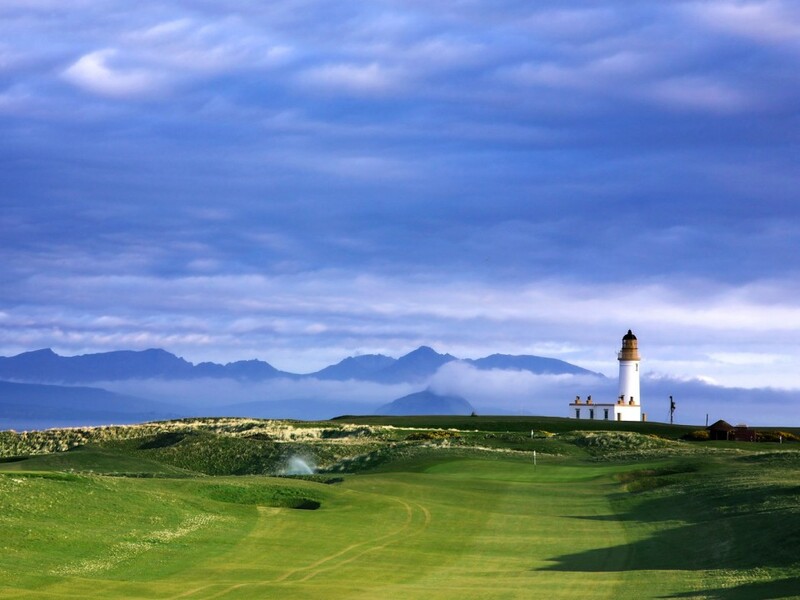 Southwest Scotland’s Ayrshire coastline includes a star-studded cast of top quality links courses, with names such as Turnberry, Royal Troon, Western Gailes and Prestwick among the best. Spend 4 nights in Southwest Scotland and play Royal Troon Old, Western Gailes, Prestwick Old and Turnberry Ailsa Courses. 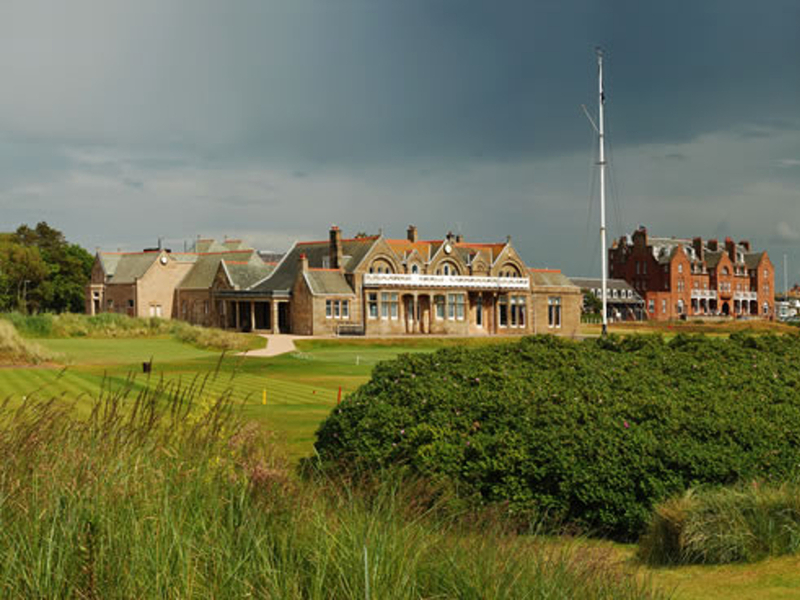 One of the great links courses in Scotland, Royal Troon Old Course is a challenging test of golfing ability. It is a traditional out and back links layout with the opening few holes showing a kinder side of the course’s sometimes merciless character. These short par-4′s run picturesquely along the shoreline of the Firth of Clyde, offering an opportunity to soak in the scenery — Ailsa Craig to the distant south and to the west, the majestic mountains of the Isle of Arran. Enjoy the views while you may for there is serious work ahead. The Old Course is tough from beginning to end. Bordered on one side by a railway line and the other by the sea, this is an exceedingly narrow layout, with an entire width no more than the two fairways permitted by the meager 130-acre site. But this course is golf magic, presenting variety and challenges, rarely found in a single course. The challenge is only compounded by the finely contoured greens, immaculately maintained and most ingeniously located, set into the folds of the surrounding sand dunes. Needless to say, pot bunkers are in no short supply and to add a little spice to the round, meandering burns pop up strategically and immediately in front of four of the greens. 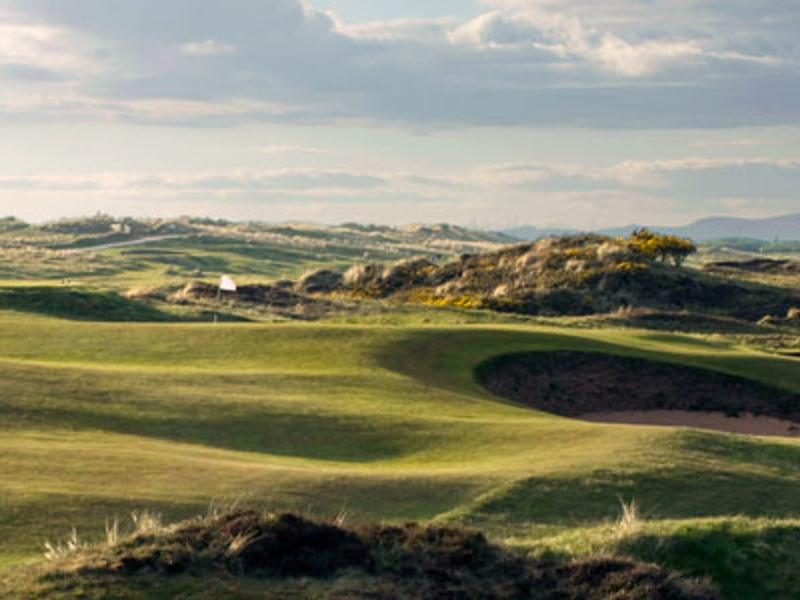 Founded in 1851, a full 27 years before its neighbor, Troon Golf Club, Prestwick is a microcosm of golf’s history, not to be missed by even those with only a passing interest in all that has occurred in the 600 year since golf came to be. 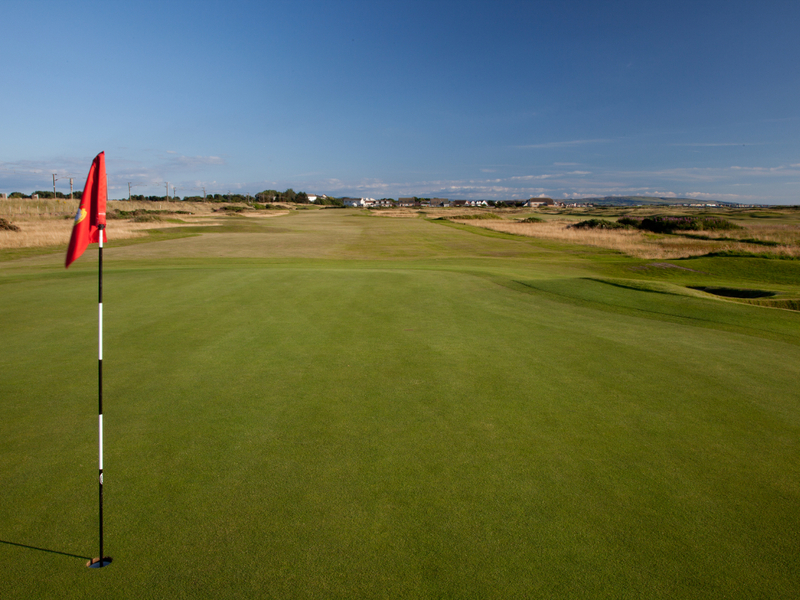 The very first Open Championship was held here in 1860, and Prestwick went on to host the event for each of the next 11 years. Best described as a traditional, classic links, the course has secured an ominous reputation for its blind holes, humps, hillocks and greens that may appear to be quirkily contoured. No less a shock to the first time visitor are the steep faced, pot bunkers, some of which are well over 6 feet deep. Ranked as one of the the best in all of Britain and Ireland and among the world’s top dozen courses, Ailsa made it’s reputation at the 1977 British Open when it was the scene of the famous “Duel in the Sun” between Tom Watson and Jack Nicklaus and again in 2009 between Tom Watson and Stewart Cink, on the fourth occasion this remarkable layout has hosted The Open. Sophisticated, handsome and presenting a challenge of the first order, this stunning combination of nature and golf is one of a kind, providing a round of golf that will live in every player’s memory for years to come. Links golf simply gets no better.